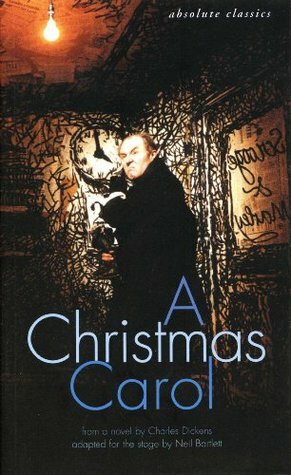 ‘Oh, but he was a squeezing, wrenching, scraping, grasping kind of a Scrooge; a clutching, covetous old sinner...’ Using only Charles Dickens' extraordinary words and a chameleon ensemble of eight actors, Neil Bartlett's A Christmas Carol is a bold theatrical reimagining of a classic Christmas story. This stage version was adapted for the festive season of 2002-3, and playe ‘Oh, but he was a squeezing, wrenching, scraping, grasping kind of a Scrooge; a clutching, covetous old sinner...’ Using only Charles Dickens' extraordinary words and a chameleon ensemble of eight actors, Neil Bartlett's A Christmas Carol is a bold theatrical reimagining of a classic Christmas story. This stage version was adapted for the festive season of 2002-3, and played to full houses and critical acclaim at both the Lyric Hammersmith, London, and the Citizens' Theatre, Glasgow.